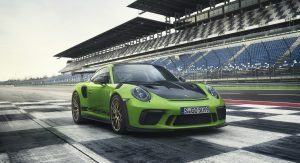 Porsche has taken the wraps off the facelifted 911 GT3 RS. Set to debut at the Geneva Motor Show next month, the updated model has a naturally aspirated 4.0-liter flat-six engine that produces 520 PS (383 kW) which is an increase of 20 PS (15 kW). 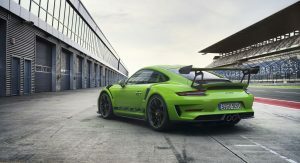 It is connected to a specially calibrated seven-speed PDK transmission which enables the model to accelerate from 0-100 km/h (0-62 mph) in 3.2 seconds before hitting a top speed of 312 km/h (193 mph). 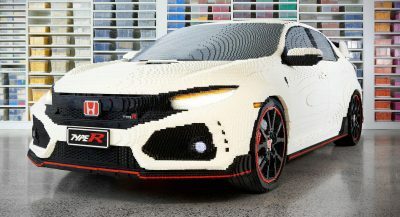 The engine isn’t only thing that has been updated as the car features a modestly revised front fascia with a larger spoiler. Designers also installed new side skirts, revised lighting units and a hood with two vents to improve brake cooling. 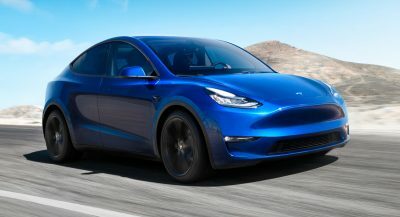 The changes don’t stop there as the model has 20- and 21-inch lightweight wheels and a new engine cover with an integrated third brake light. 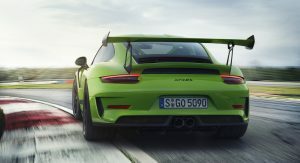 Thanks to these and other changes, the 911 GT3 RS produces more than twice as much downforce as the 911 GT3 at 200 km/h (124 mph). 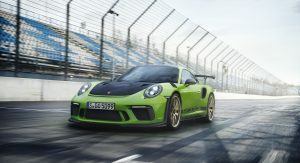 The sporty styling continues in the cabin as drivers will find carbon fiber racing seats and an Alcantara-wrapped steering wheel with a center marker at 12 o’clock. 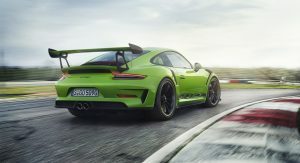 Since engineers wanted to make the car as light as possible, the 911 GT3 RS uses lightweight door panels and lightweight glass for the rear windows. The rear seats have also been jettisoned while the some of the sound deadening material has been removed. As before, the model can be equipped with the Clubsport package for no additional cost. It adds a roll bar, six-point harnesses, a fire extinguisher and preparations for a battery disconnect switch. 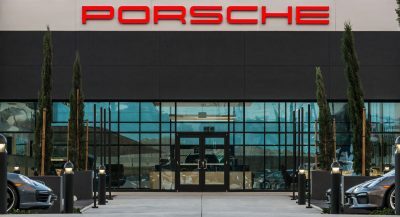 Speaking of options, the Weissach package makes a return and features additional weight savings thanks to the use carbon fiber components such as the sway bars and roof. 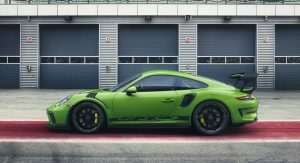 When paired with the optional magnesium wheels, the 911 GT3 RS weighs as little as 1,430 kg (3,152 lbs). The model is currently available to order and is scheduled to be launched in Germany this April. Pricing starts at €195,137 including VAT and country-specific equipment. 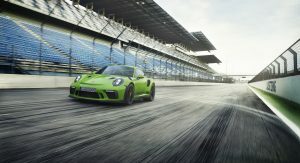 In the United States, the 911 GT3 RS will arrive in fall and cost $187,500 excluding a $1,050 delivery, processing and handling fee. 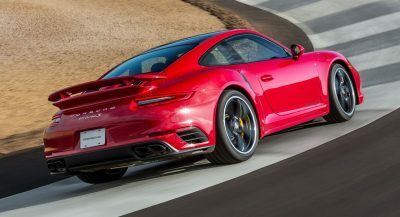 The Weissach Package will be available for an additional $18,000 while the magnesium wheels will cost an extra $13,000. It was already “unveiled” in low resolution about a week or two back. Anyway, I still like it but change the color. That’s too much green. Meh….getting very busy looking and boy racer-ish. Well, it’s meant to be driven on the track. But we’ll most likely just see these being flipped by the 1%ers. Not if Porsche has anything to say about it. Why would there be flippers on a non-limited run car? 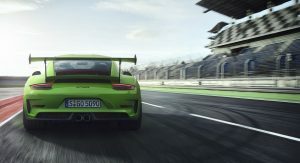 is the green much brighter than cayman r? Damn, those magnesium wheels cost more than what I got my used 2008 CRV for early this year, LOL! Looks mental. Probably too mental for me. I’d be content with a Carrera 2S. Hm, I think the previous one looks more like a beast. Looks good. I’m still in line for the GT3 though. The RS’s just aren’t street friendly. You can at least drive the GT3 on the road and keep your teeth in tact. Everything is dialed up to 11 in the RS, and unfortunately you don’t drive at 11 on the street. The GT3 is dialed up to 8.5. 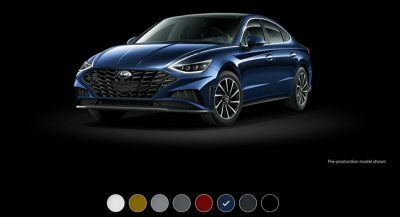 And sadly this car would be so hard to get, all of them were pre-reserved and the one that is allocated for the dealer is being held to jack up the prices even more.